All-in-one pregnancy resource provides instant information and interactive features for your pregnancy at your fingertips. 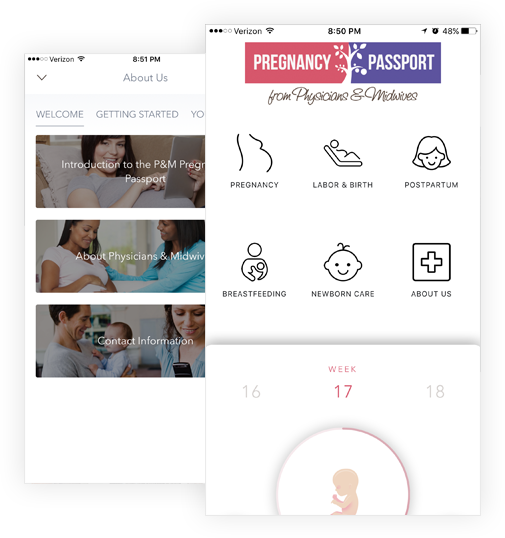 The Pregnancy Passport is a mobile app that gives you support from before to well after bringing your baby home. Get access to on-demand information to guide you through your pregnancy, birth, breastfeeding and postpartum care. You are on a journey of exploration and transformation from which you will emerge changed forever. We encourage you to use the Pregnancy Passport app to answer many of the questions that you may have and serve as a springboard for your further education. 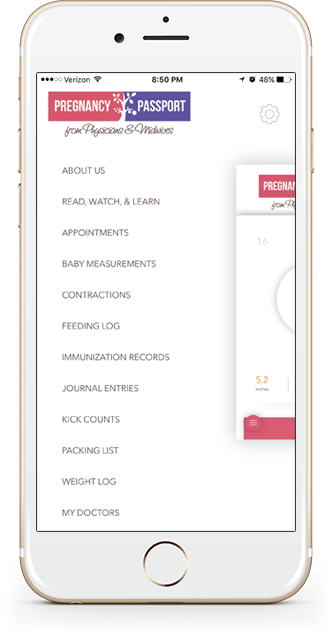 The Pregnancy Passport app includes functionality such as: animations and video; weekly milestone notifications; tailored content for each week of pregnancy; trackers for appointments, weight management, contractions and immunizations; an interface to share experiences through a personal journal with social media integration; and other features designed to provide an efficient and rewarding patient experience. Media content with animation and videos for a health pregnancy. Tools for tracking contractions and kicks while pregnancy and even your baby’s measurements, feeding log after delivery. Add journal entries with photo attachments. Easily book your appointment, register for free pregnancy classes, and access local resources. Add your provider information and appointments with integration into your calendar. Track your pregnancy weight for better health management.